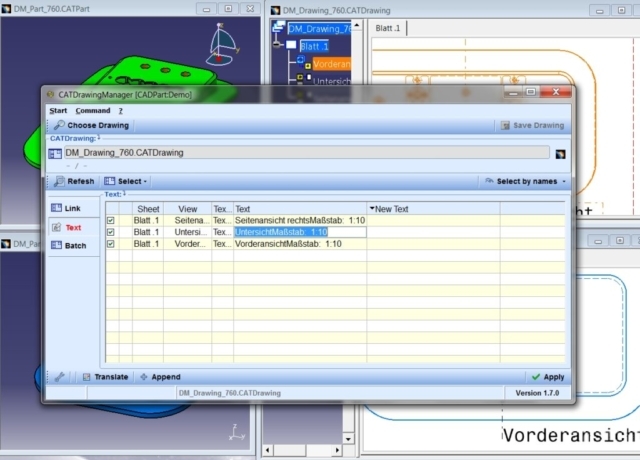 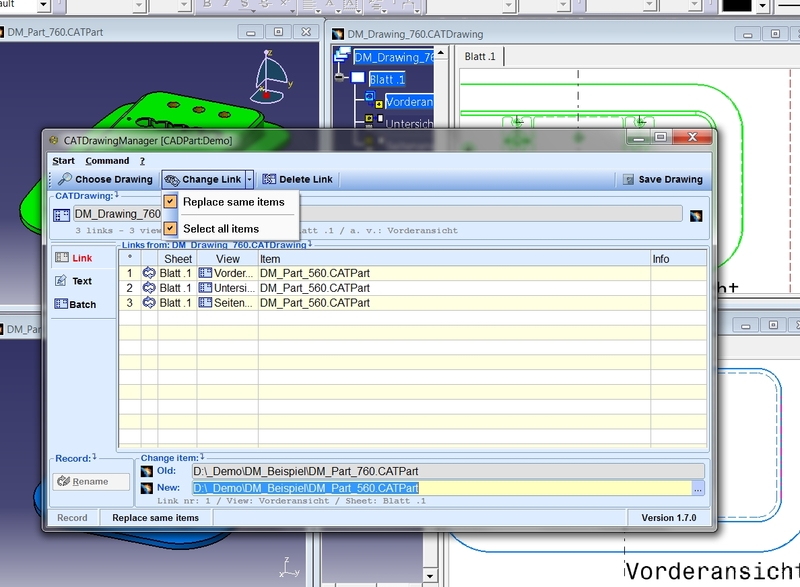 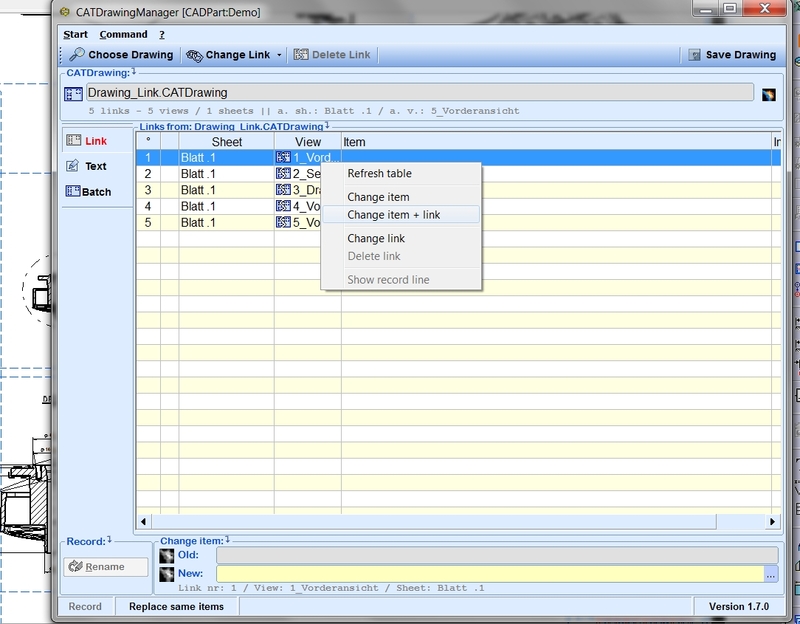 CATIA V5 does not allow the linking of CATDrawings to another part or product, since the UUID is not identical. This restriction does not apply for CAT.DrawingManagment. 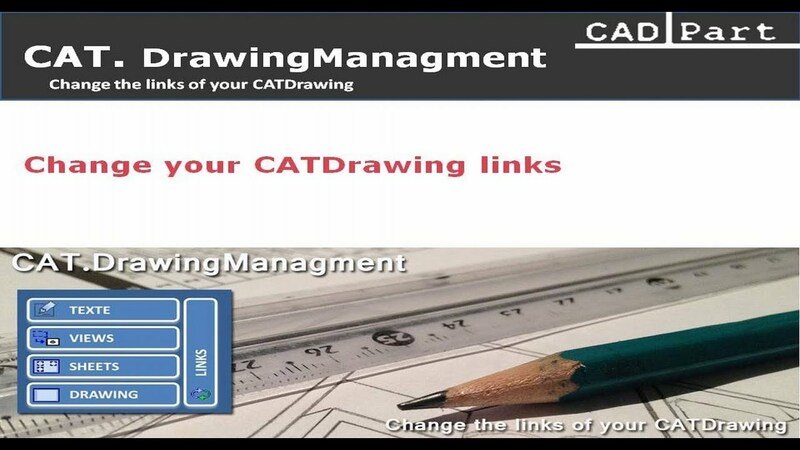 Therefore, you can change your outdated link, for example from an old drawing (or AllCATPart) to a new part (various UUIDs) or to any other product.